The Agilent 7696A Sample Prep Workbench provides consistent precision and eliminates errors associated with mundane sample preparation procedures, such as dilutions, internal standard additions, and derivatization. 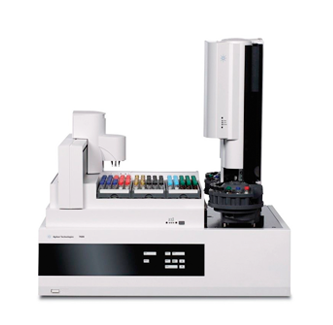 WorkBench with WeighStation provides the ability to weigh precision amounts of material directly into the GC or LC vial, allowing for weight calculations required in specific ASTM and EN methods. Automated sample preparation ensures consistent sample processing and eliminates analyst to analyst variability.